A full 1 carat 5-stone women's diamond wedding band ring set in fine 14k white gold or your choice of 18k white gold (yellow gold by request). Also available in platinum, shown below. 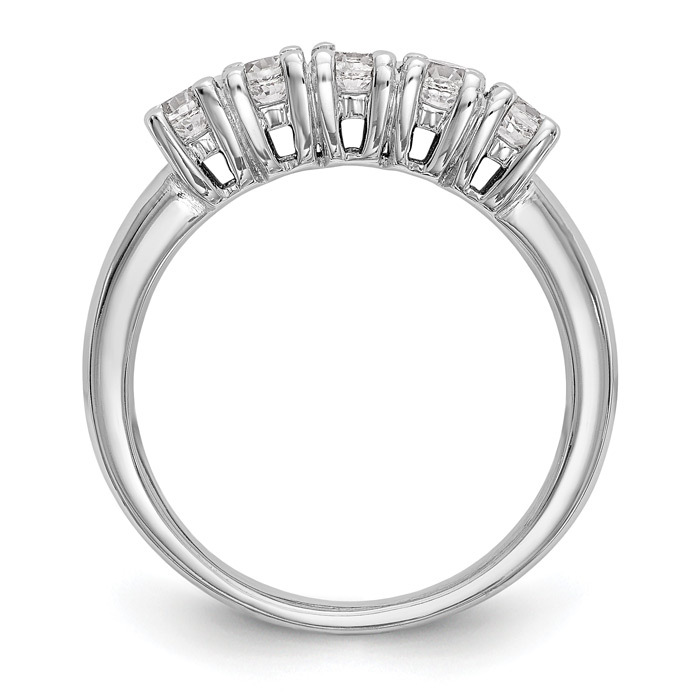 The ring showcases five high quality 0.20 carat white diamonds in H Color, SI1-SI2 clarity for a total of 1 carat. 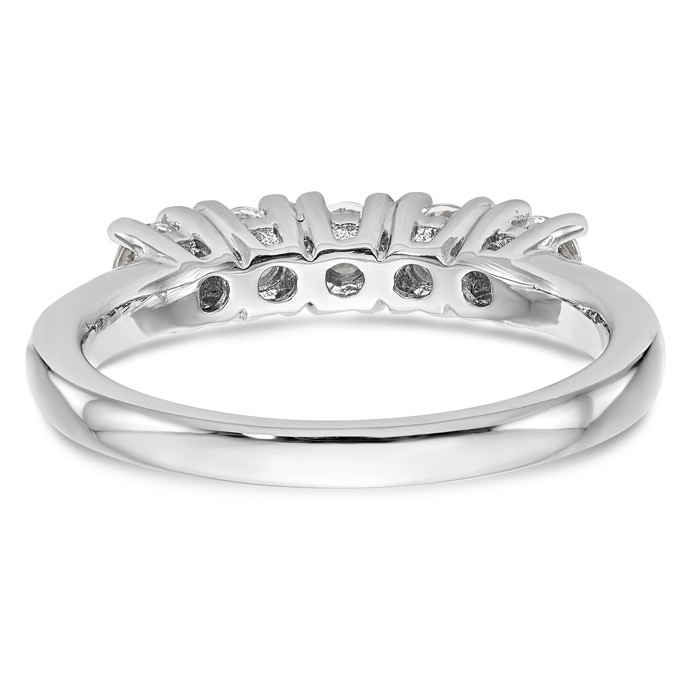 The 5-stone women's diamond wedding band ring is individually made to order in the United States. Please allow 7-10 business days before shipping. Also available in a 1/2 carat or 3/4 carat version, shown below. 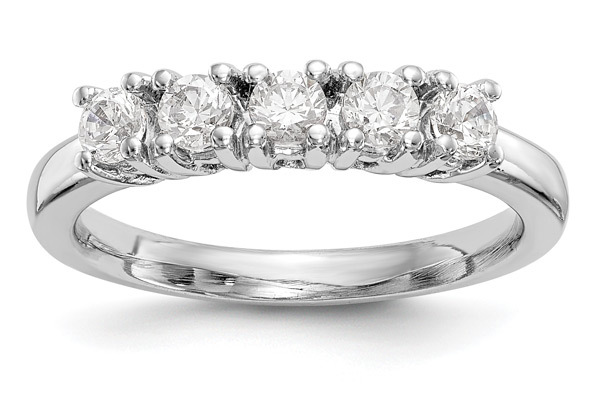 Suitable as a diamond wedding band or anniversary ring or stand-alone diamond band for women! We guarantee our 1 Carat 5-Stone Women's Diamond Wedding Band Ring to be high quality, authentic jewelry, as described above.